Introducing the film Ixcanul for International Cinema, Allen Christenson gave some background information about the Guatemalan civil war and the oppression of the Maya people. PROVO, Utah (Mar. 28, 2017)—Guatemala experienced a tremendously violent civil war from the 1970s to the 1990s. Those who suffered most were the indigenous Maya people. The Maya form a majority population in Guatemala, but, during the war, the Guatemalan Spanish-speaking government was extremely oppressive, prohibiting Maya to speak their language, wear traditional clothing, or participate in rituals that extend back to the beginning of the Maya civilization nearly 4,000 years ago. Allen Christenson, a professor in the Department of Comparative Arts and Letters, introduced Ixcanul (Volcano) – a film about the indigenous Maya Kaqchikel people in Guatemala – for its International Cinema debut. 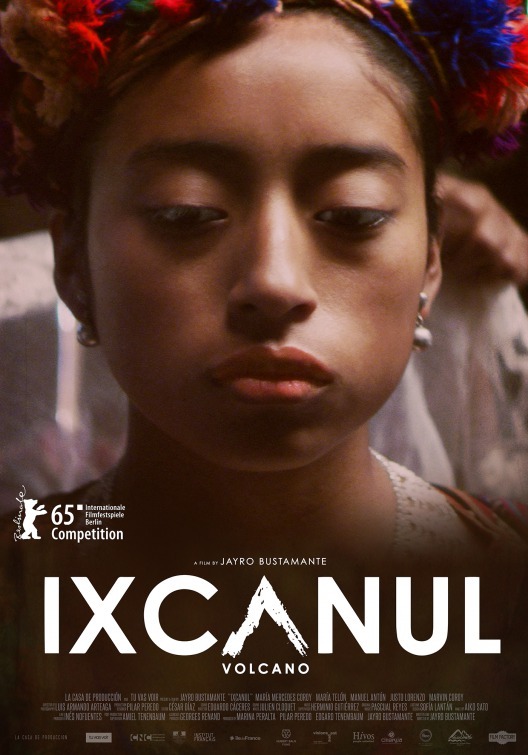 Ixcanul is a Guatemalan-French film written by Jayro Bustamante. Since its premiere in 2015, the film has won several awards for film production and acting. It tells the story of a young Kaqchikel woman who is struggling with the choice to stay in her small Maya village and marry the man whom her parents desire her to marry, or to run away to America. Bustamante wrote the script in French while attending film school, later translating it into Spanish and then having it translated into Kaqchikel, the Maya language the actors speak throughout the film. “I never thought I would see an award-winning film coming out of a collaboration between France and Guatemala, and all in Kaqchikel,” commented Christenson. Ixcanul is unique in that the Kaqchikel actors are all native speakers, many with little to no acting experience, telling a story that is more biography than fiction about trying to live their culture in an oppressive atmosphere. “The Maya are a 4,000-year-old culture, ” said Christenson. “They speak the same language, have the same core theology, and the same belief and social structure that they have had since 2000 B.C.E. There’s no other culture on the face of the earth like that.” He also shared that the ancient Maya had the only fully phonetic writing system in the New World and were the domesticators of chocolate, tomatoes, maize, avocados and strawberries. Christenson’s involvement with the Maya began near the beginning of the civil war in the ’70s, and much of his research has been tainted by the violence. “There was one community I worked in that had an army garrison placed there because it was a traditional community. . . . One night a soldier got drunk and started stealing from a shop. The girl working there tried to stop him, and he raped and then murdered her,” he said. After that, the community marched to the garrison unarmed to negotiate, and the soldiers opened up their machine guns, killing 45 and wounding probably 100 more. Hannah covers events for the International Cinema of the College of Humanities. She is a senior pursuing a degree in art history with a minor in art.